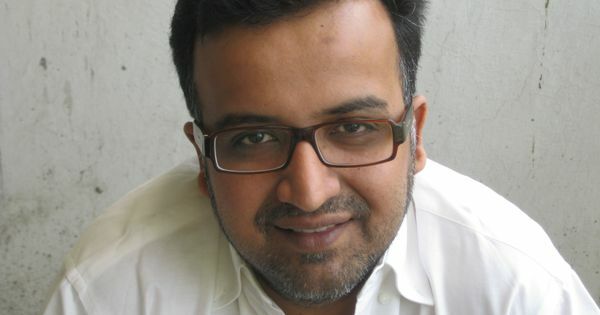 Veteran editor Adil Tyabji rues how corporatisation and digitisation have eroded the role of the editor in book publishing. For an idea of what it meant to be an editor in the days when I was aspiring to be one in distant 1968 and how that role has changed since, one needs to examine how publishing has fundamentally changed. Publishing then was perceived to be a profession clearly differentiated from a business: a gentleperson’s genteel engagement with earning a living, but just about achieving the latter. Very few people knew what a publishing career meant so it had a certain cachet, particularly when you threw in mysteriously that it had to do with books, an even more mysterious commodity, provided you did not need to reveal what you actually earned; fortunately, not many stooped to ask you that, at least on casual contact. Publishing then was a low-key, low-paid profession shorn of the razzamatazz that surrounds it today, but those within it believed they were performing a service of great value and thoroughly enjoyed engaging with it. Notwithstanding the low salaries there was very little staff turnover. I occasionally mourned that if no one left, there would be no room at the top to which to aspire! Having broadly set the scene we come to what the editor actually did. As in all professions, where you work and with whom makes an enormous difference to your functioning and responsibilities. I personally worked for only two publishers: first with Orient Longman (OL), as the Orient BlackSwan of today was then known (three years), and Oxford University Press India (OUP). Fortunately, and in a sense surprisingly, both, in the main, functioned more or less identically. Both had a head office in Delhi and branch offices in Bombay, Madras, and Calcutta, and each had an academic/general list which attempted to earn its keep and more but there was no acute scrutiny of that because it was the flagship or loss-leader. The real earnings came from (1) the educational list (school and college textbooks), annotated college anthologies prescribed by various state educational boards (if there was a somewhat seamier side, this was it! ), and supplementary reading material; and (2) reprints of reference material (dictionaries in the main), at various levels, largely generated by the respective UK parent companies (although OUP stoutly maintained that it was not a company but a department of the University of Oxford, and we wore that as a badge of honour! and attempted to live up to it). In OL then there was no strict bifurcation between the academic/general and educational departments so an editor could be simultaneously working on academic/general and educational books, although usually a broad bifurcation came about depending upon skills and preference; in OUP specific editors were assigned to each department but come the last minute rush preceding the academic year and most editors pitched in with the educational list, the academic/ general editors usually working on supplementary reading material. There was no specialisation within these broad categories either until later years when it crept in to a degree. As a largely academic/general editor, in OUP I was either assigned a manuscript by the then chief editor/general manager (Ravi Dayal when GM, for many very fruitful years, combined these roles) or generated it myself on the basis of an idea or proposal, with of course the concurrence of the former, and where necessary a specialist report. There were visits to the university for inspiration and bookshops for feedback. Manuscript in hand you were on your own without any external interference, no time pressure except from within and occasionally from the author. Ivor Lewis for instance, a charming sprightly individual of 80+ years from the Isle of Wight, who became a great friend and spoke eloquently about the charms of the nuns at the convent where he stayed when in India, was forever threatening to die and once, just as we were approaching the end (not of him but the book! ), in a state of depression, wrote lightheartedly that he would sue me. Then it was an intense 6-to-8-month engagement (although Irfan Habib’s An Atlas of the Mughal Empire took three gruelling years and Ivor Lewis’s Sahibs, Nabobs and Boxwallahs, two!) with the MS to be edited, detailed queries and suggestions exchanged with the author, the focus on expression and presentation but also on structure, discrepancies, repetition. Then the proofs arrived and moved between editor and author, accompanied by carefully crafted letters, drafted and typed, with more queries, pleasantries, and humour, providing the author, frequently anxious and impatient, continuing reassurance and support. The relationship at this point was frequently very intense, albeit transitory. In addition to the interaction with the author there was close coordination with the production department. I was extremely fortunate for most of my time at OUP to have the able and sage guidance of Dipen Mitra, a soulmate, as production manager. They did the costings, chose the typeface, designed the text, and selected the most suitable press. When considered necessary, the press was jointly visited where I was privileged to watch the magical sight of molten metal pouring down to form letters and pass through successive generations of evolving technology: hand setting, monotype, linotype and admire the exceptional skills of the people who operated them and occasionally rescued us from the brink of disaster. Sadly, a sterling and dying breed of professionals defeated only by technology. Publishing and printing presses were then inextricably intertwined. Those are glimpses of the past, what of the present? I have observed that in publishing it was initially the editors who were in control, and that was the period with which I naturally empathise, then the baton passed to the accountants, and eventually to the sales and marketing people who have since maintained a stranglehold. Although from a purely economic point of view the present arrangement makes eminent sense, should publishing be subject to purely financial criteria? Does publishing in its present form adequately play its essential role of having the author at the centre and providing the mutually enriching services necessary to enable the organisation to get the best out of him/her and publish the best possible books in the most attractive form possible? What brought about this dramatic change in the structure of publishing and even infected the renowned university presses whose fundamental role it is to nurture authors and scholarship. Some time in the 1980s I think, publishers overseas, followed astonishingly even by the renowned university presses, decided that having copyeditors on their payroll was a waste of money. They occupied too much expensive space, spent far too much time worrying about commas and split infinitives, so why not hire them in their own space at rates they (the publishers) thought they were worth. They succeeded in some measure because in consequence there were hundreds of experienced copyeditors on the limb with few other alternatives. Also, given the scale of many of their operations they were able to have an entire department monitoring the performance of their external copyeditors. OUP UK, for instance, which in the first flush of enthusiasm fired a substantial clutch of brilliant editors, has I believe an elaborate and very well-organised one. A decade later, when the Indian general managers, by now rechristened managing directors! with a background in sales and marketing, with no interest in or inclination to fight for the traditional independence of the Indian branch operations, this organisational blueprint was transported to India. To my mind this was an entirely misplaced move; the situation in India was very different. There were relatively few experienced editors and with the model being adopted by a large number of publishers, the catchment too narrow. In OUP we could by no stretch of the imagination claim to have had the best editors but what was important was that they were on the payroll and responsible to the management and the authors for the books they produced and how they produced them. A reasonably competent in-house editor, responsible to the organisation for results, I think, produces better outcomes than someone out of the blue, generally underpaid, under-qualified, and no sanction beyond not getting a second assignment from a particular publisher. I would imagine, and given my experience as a freelance editor of a couple of decades, the commissioning editors of today frequently do not have the time or the ability to evaluate the quality of the work offered. Needless to say, much as I admire individuals who tirelessly and splendidly package our goods, I did not envisage that as my future. My new avatar overnight as a freelance copyeditor was somewhat daunting with only a meagre provident fund and gratuity in the bank, and those took a month or more to arrive. I was rescued by my editorial colleagues in OUP, first Rukun Advani, the then editorial director, academic and general, and when he himself resigned, Nitasha Devasar, who kept me almost continually in work, albeit at the near starvation wages that were then available, for over a decade. A freelance editor does not have to prepare him/herself to rush to office in the morning, has the luxury of working uninterrupted in the comfort of home, can concentrate single-mindedly. On the other hand, there is an obligation to adhere to prescribed schedules, there is no guarantee that the morrow will see a manuscript on the desk, and if, as I do, s/he works on a single manuscript at a time, promising offers have to be declined, and it is more than likely that in consequence follow-up ones will not be forthcoming. The other disadvantage is that unless you are working directly for an author there is no contact with her/him whatsoever. 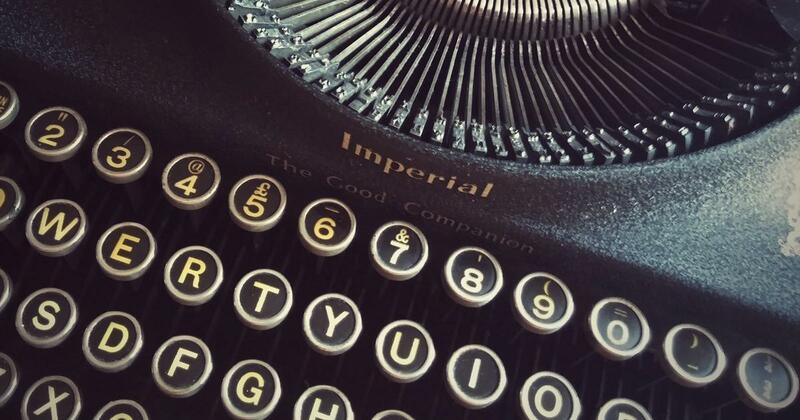 The commissioning editor emails a manuscript, you edit and return it with broad comments and suggestions, text-related queries highlighted within the text, email it back, and wait for a cheque to arrive a month or so later! You, more often than not, do not know what the book looks like, when it is published, how it was received/reviewed. When a trifle diffidently (time had passed, memories were hazy) I agreed to write this piece, the first few lines were tapped out on my mobile phone on a Saturday afternoon at the bar of the India International Centre. A little Dutch courage is always useful in igniting resolve! This is only relevant here because it vividly illustrates how technology has dramatically changed the palate in terms of the editorial function, communication, and author-editor interpersonal relations, largely for the better, certainly for convenience and efficiency, and in some respects perhaps for the worse. Throughout my years with OUP there were no computers whatsoever, except during the last few years when a large, handsome standalone Mackintosh was acquired for design purposes which I admired from a safe distance! Then everything was done by hand. Manuscripts (ironically, the very word means book written by hand) were edited with fountain pen or ballpen, depending upon preference, proofs were corrected in the same way, letters were carefully crafted by hand unless you had a forte for dictation, and then typed and retyped. For years after computers became omnipresent and ubiquitous, I obstinately maintained that editing by hand produced superior results because the slow pace of the operation permitted greater time for thought and consideration. It was only quite late into my editorial freelancing days that I bought a laptop on a whim and was persuaded by its convenience, and that conversion itself was gradual, for some years both methods going hand-in-hand, depending upon clients’ preferences. Today I would regard hard copy as an enormous imposition but still miss the convenience of flipping the pages backwards and forwards. How times change! Another significant change that technology brings is the instant availability of information. While in the past the editor scoured her/his reference shelf, and those of others, for references/words/meanings or queried the author, today the click of a button and there on your mobile phone is your dictionary, thesaurus, Wikipedia, Google, the last giving birth to that frightful term “googled”. Again another major change wrought by technology is in author-editor interpersonal relations. Because in the past correspondence, both in the writing and its conveyance (with the humble postman a star actor), was so much more time-consuming and infrequent, if utilised effectively it could create a great bond between author and editor. It is difficult to replicate the same personalised effect with today’s instant electronic communication, which has taken a toll too on the art of correspondence and the pleasure of receiving a letter. Alas, no longer can “Lost in the mail” be proffered as a convenient excuse. On the positive side, everyone is constantly in touch with everyone else which, if it lacks magic it is convenient and efficient but with that comes the price of an enormous overload of information which is often difficult to digest and maximally utilise. In conclusion, a couple of thoughts and questions run through my mind. Where will future generations of copyeditors come from and with what background? Will future generations of commissioning editors be in a position to evaluate the quality of copyedited manuscripts they receive? What effect will the new arrangement have on the traditional, mutually enriching relationship that existed between the author, the editor and the publisher, now that the functions of the traditional editor have been cleft in half? 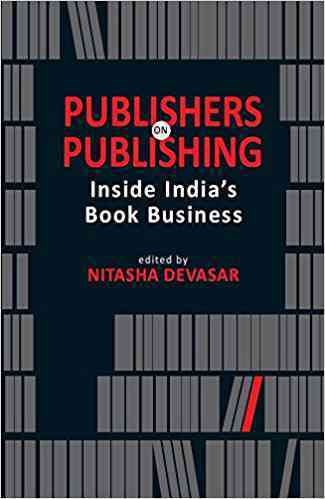 Excerpted with permission from Publishers on Publishing: Inside India’s Book Business, edited by Nitasha Devasar, All About Book Publishing. Adil Tyabji joined Orient Longman as an editor in 1968 before moving to Oxford University Press India in 1972, where his roles included Assistant Manager of the Bombay branch and thereafter Senior Editor till 1992. He has since been working as a freelance publishing editor for a wide range of publishers.